Technology is great. Until, that is, it isn’t. Our days our filled with technological devices that we couldn’t have even dreamed of even a short 15 years ago when the year 2000 arrived. New devices and modern additions to older products have changed the way we live, often offering huge safety improvements. However, sometimes a new technology turns out to be dangerous. Product liability law protects consumers in these situations. In today’s entry, our Oakland California product liability attorney examines in-car technology that has proved more harmful than good and looks at the types of product liability claims available to those harmed by a consumer item in the Bay Area. On Tuesday, CNN reported on the recall of approximately 13,500 Lincoln MKC crossover vehicles. The vehicles have a push-button ignition and buttons also take the place of a traditional gear shift. 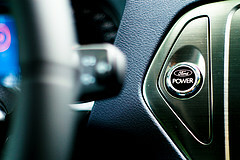 In a dangerous twist, Ford found that drivers who intend to press “S” to put the vehicle in sport mode sometimes hit the nearby start-stop button instead, causing the vehicle to shut down. Similarly, one car owner told federal regulators that his passenger was reaching for the radio but accidentally pressed the ignition switch button causing the vehicle to come to a sudden stop much as it would if a driver slammed on the brakes. Ford plans to move the on-off button and reprogram the powertrain controls to prevent future incidents. The automaker says it is unaware of any injuries or accidents caused by the problem. Nonetheless, the problem poses a significant safety hazard. Ford also issued an unrelated recall for some MKCs involving a flaw in the fuel pump that could cause the vehicle to fail to start or cause it to stall while driving. Notably, GM is dealing with a similar technology problem. In GM’s case, the believed culprit is a design flaw in the key ignition system that may cause cars to shut off unexpectedly. The flaw has been linked to at least 42 fatalities. Design Defect: Must show: 1) The defendant sold, made or distributed the product; 2) The plaintiff suffered harm; 3) The design was a substantial factor causing that harm (note: defendant can prevail by showing the benefits of the design outweigh the risks). Manufacturing Defect: Must show: 1) The defendant sold, made or distributed the product; 2) When the product left the defendant’s possession, it contained a manufacturing defect (i.e. did not conform to design specifications); 3) The plaintiff suffered harm; 4) The defect was a substantial factor causing that harm. Failure to Warn: Must show: 1) The defendant sold, made or distributed the product; 2) The product carried potential known/knowable risks; 3) Those risks presented a substantial threat when the item was used properly or misused in a foreseeable or intended fashion; 4) An ordinary consumer would not recognize this risk; 5) The defendant did not adequately provide warning of the risk; 6) The plaintiff suffered harm; 7) The failure to warn was a substantial factor in this injury. Importantly, most product liability claims involve a strict liability theory meaning the plaintiff does not need to show the defendant had a dangerous intent or was negligent. This is due to a policy judgment that companies should be responsible for injuries caused by their products. If you were injured due to a vehicle defect, including a dangerously designed control panel that led to unexpected braking, we can help you recover compensation for your injuries. We can also help if a dangerous vehicle design or a defect claimed the life of a close relative. Call our product liability law firm in Santa Rosa, Oakland, or San Francisco to schedule a free consultation.